If your pet’s skin is dry, itchy, and flaky, they may benefit from a pet skin multivitamin. Pet skin multivitamins help tremendously when trying to moisturize the skin from the inside out. When your pet’s skin has inflammation or dryness, it’s most likely due to a nutrient deficiency in your pet’s diet or an allergy. Adding supplements, such as fish oil rich in Omega 3 Fatty Acids, or Vitamin E, can help with your dog or cat’s skin issues. At BioThrive Sciences, we believe in the importance of providing high quality vitamins for both you and your pets. We manufacture multivitamins and more so that you can get the best for your business at the best price. Your pet can greatly benefit from the many vitamins, minerals, and fatty acids that are in pet skin multivitamins, especially when they are made at BioThrive Sciences! 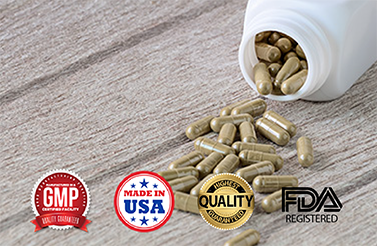 We are a GMP-certified supplement manufacturer, and we are glad to offer tours of our manufacturing facility. Your dog or puppy may have excessive shedding, dry skin, hot spots, or allergies that may be causing discomfort and annoyance. This may be due to a deficiency or an allergy, causing a domino effect of other health issues down the road. We believe in noticing the initial signs of any health issues and stopping them in their tracks before any other serious issues occur. Relieve your dog’s dry, itchy skin by adding essential amino acids, vitamins, Omegas, minerals, and more. This will help exponentially with not only the condition of your dog’s coat, but also with their overall health. Pet skin multivitamins are also ideal for senior cats that have dry skin or excessive shedding. The Omegas from the fish oil help the coat become resistant, healthy, and shiny while also restoring the condition to a more youthful appearance. The vitamins A, C, B Complex, and D helps senior cats obtain all the missing components that they may be lacking from their diet. At BioThrive Sciences, we know that protecting your senior cat is incredibly important as they age. That’s why we provide the highest quality ingredients at our company. We’re a leader in the manufacturing and fulfillment industry for health products. This means that you can focus more on other aspects of your business and leave the high quality, affordable vitamin manufacturing up to us! Do you need to create pet skin multivitamins for your business? Or are you interested in creating the best labels for your company? At BioThrive Sciences, we will walk you through every step of the process from creating the perfect formula for your vitamins to the custom design of your labels. Request an order fulfillment quote by giving us a call at 844-263-3657 or by filling out our convenient online contact form.